According to the National Parkinson Foundation, 38% of people with Parkinson’s fall each year, due to freezing of gait – the temporary, involuntary inability to move. And while the cause of freezing is unknown, thankfully there are some young trailblazers in the field of design who are using their ingenious minds to create positive solutions for patients. Here’s a round-up of three incredible inventions that can help prevent freezing and have the potential to change lives. Designed by Parkinson’s aid innovator, Lise Pape, ‘Path Finder’ is a shoe that projects laser lines to trigger walking and thus prevent freezing of gait. 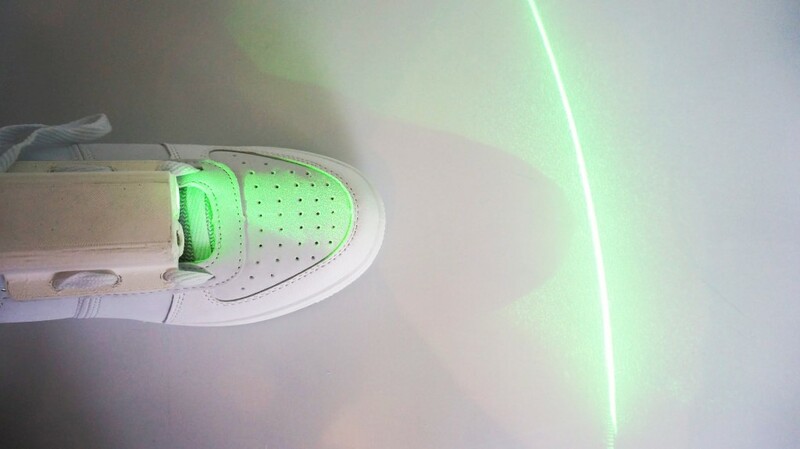 The laser cues are activated by pressure observed when the wearer touches down on the ground. Read the full article. Some people with Parkinson’s walk smoothly up and down stairs, yet experience freezing of gait on flat ground. Product designer Mileha Soneji has found a way to combat this by creating a flat staircase illusion, which is placed floor for users to walk over. 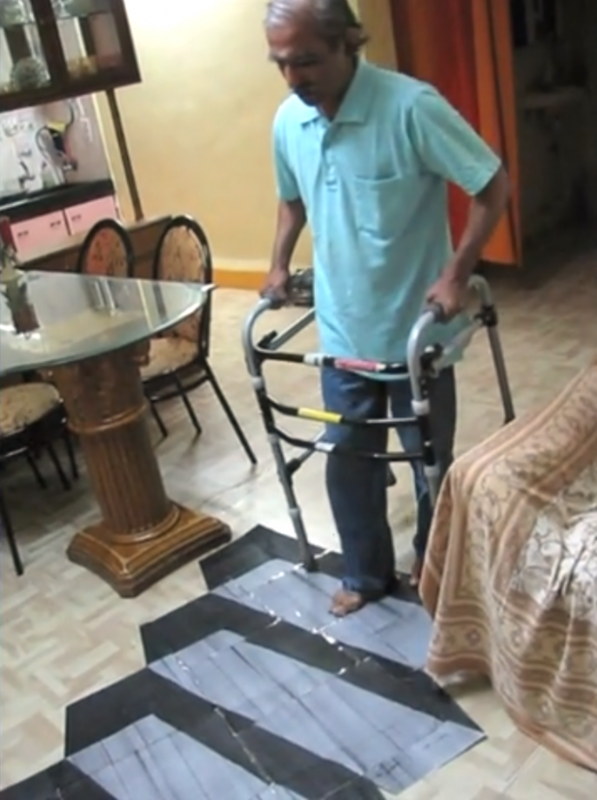 Results have shown that users are able to walk more smoothly on the areas where the illusionary mat is placed. Learn more about the illusion here. 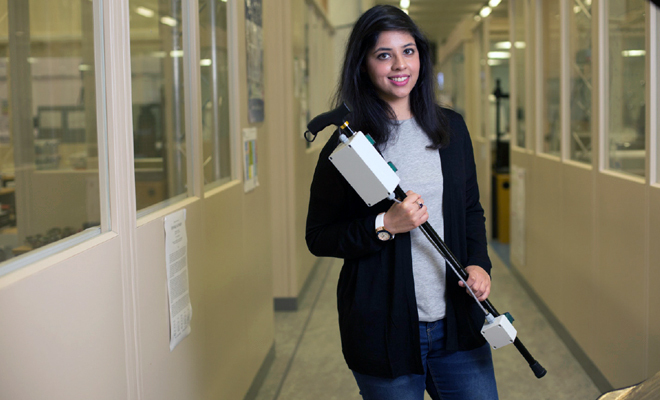 ‘Walk to Beat’ is an intelligent device created by Neha Chaudhry that detects a pause in motion and then sends rhythmic vibrations to the handle, helping the user regain their natural walking motion. 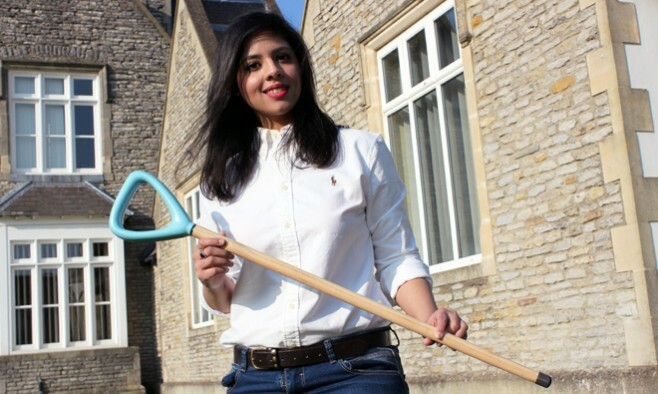 Read the full article on the walking stick here. For more top tips on walking and foot care, visit the European Parkinson’s Disease Association website here.